2014 WPT Champion Keven Stammen is all in with 44, and called by 2-time WSOP Circuit Ring winner Krzysztof Stybaniewicz with QQ. Stammen does not improve and he is eliminated from the main event. 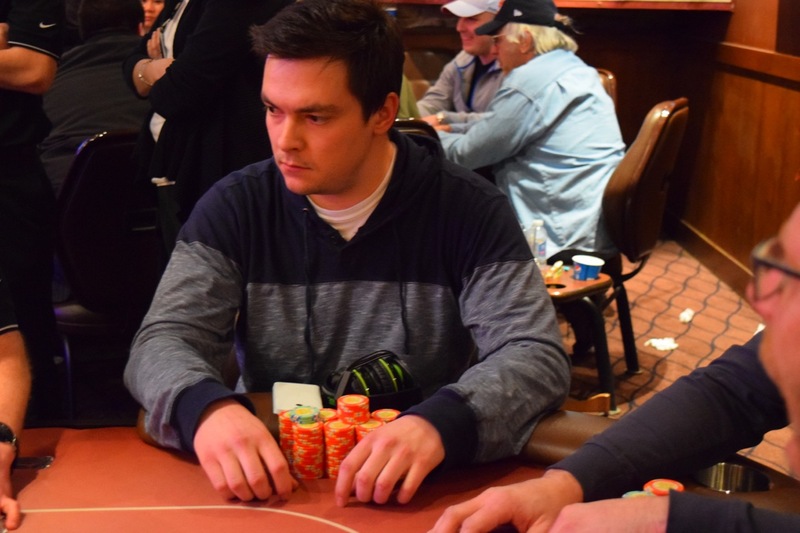 Stybaniewicz - winner of the WSOP Circuit Main in Hammond last October - moves to 2,5 million.